Jason Wilkinson is a partner in our Johannesburg office in the Banking and Finance Department. He has a broad international and domestic practice that specialises in leveraged finance, complex acquisition finance, real estate finance, mining finance, trade finance, margin loan financing, debt restructurings and intricate finance transactions. Jason has represented many of the leading African, US and European financial institutions, private equity sponsors, investment funds and international corporations on some of the largest transactions in recent years. He has worked extensively in the African, London, New York, Moscow, Paris and Hong Kong financial markets. Prior to joining Bowmans, Jason spent over a decade working in the London offices of Debevoise & Plimpton LLP and Simmons & Simmons LLP. Jason has BA and LLB degrees from Rhodes University and the LPC and CPE from London. National Treasury on the curatorship of a large South African retail bank, African Bank, including in particular the “good bank / bad bank” split off, the related underwriting in connection with the “good bank”, drafting, negotiating and advising on the guarantee framework agreement designed to ensure national fiscal stability, advising in connection with liquidity issues, insolvency and restructuring advice (and in particular opining on the treatment of creditors in the “good bank / bad bank” split). Investec Bank Limited, Freedom Property Fund and Delta Property Fund (part of the Delta Africa group) in relation to a landmark USD 23 million and EUR 32 million multicurrency term loan facility for the acquisition of the Anfa Place Shopping Centre in Casablanca, Morocco, spanning 5 legal systems and covering 4 jurisdictions. The financing was the first entry into the Moroccan Market by the parties and has now set the platform for future funding models and projects in Morocco. This transaction was awarded the prestigious Banking, Finance and Restructuring deal of the year 2016 by the African Legal Awards. Trafigura Beheer BV (Netherlands) and Trafigura PTE (Singapore) (as borrowers) in connection with the borrowing base facility provided by certain lenders (including FirstRand Bank Limited) to Trafigura for the up to USD 450 million financing of copper commodities in the DRC, Zambia, Tanzania, Zimbabwe, South Africa and Mozambique. Nedbank Limited, The Standard Bank of South Africa Limited and FirstRand Bank Limited (acting through its Rand Merchant Bank Division) in connection with one of the largest financings (ZAR 5.25 billion) made available in the South African market in 2016, advanced to a fund subsidiary of Old Mutual Group Holdings. The Standard Bank of South Africa Limited and Stanbic Bank Botswana Limited in connection with a senior secured USD30 million multicurrency term, revolving and overdraft financing made available to Wilderness Holdings Limited and a number of its subsidiaries in various jurisdictions. This multifaceted deal was highly complex and contained multiple levels of security across Botswana and South Africa. ABSA Bank Limited (in its capacity as Lender and ECIC Agent) in respect of a ground breaking and collaborative initiative to finance one of Africa’s significant new diamond producers in relation to (i) an ECIC backed facility of USD 84 million made available to the Liqhobong Mining Development Company Proprietary Limited for the construction and development of a mine in the Maluti mountains of Lesotho and (ii) a Eurobond issue by Firestone Diamonds Plc (issuer) and Pacific Road Resources Fund and Resource Capital Fund as Subscribers. ABSA Bank Limited (as lender) in connection with the conclusion of the ZAR 1.7 billion financing arrangement relating to the sale and repurchase of the shares of TP Hentiq Proprietary Limited by Ethos Private Equity and the sale of the assets of Autozone Retail and Distribution Proprietary Limited. The Standard Bank of South Africa Limited in relation to a USD 40 million senior financing arrangement made available to Mota-Engil Egenharia e Costrucao Africa SA, a Portuguese company and global leader in civil construction, public works, port operations and logistics, for the purpose of refinancing existing indebtedness and working capital purposes across its African network. FirstRand Bank Limited (acting through its Rand Merchant Bank division), in connection with the USD 25 million development and term loan facility provided to Ghanaian subsidiary of Hyprop Investments and Atterbury Investments for the development of a shopping mall in Ghana. Momentum Global Investment Management and Eris Property Group on the establishment of Momentum Real Estate Fund Limited, a USD 250 million Mauritian fund created for the purposing of owning and developing prime real estate projects in Africa, in particular retail, office blocks and industrial buildings. Jason was ranked as a Recommended Lawyer in Legal500, 2017. 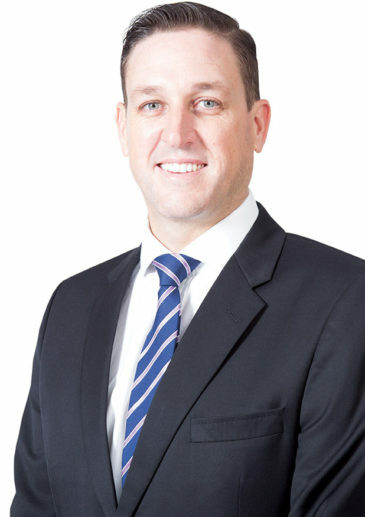 Jason was the lead partner on the team who was awarded the African Legal Awards 2016 Banking, Finance and Restructuring Team of the Year award for its work on Mara Delta Property Holdings’ acquisition of a shopping centre in Morocco – one of the largest pan-African real estate financings in recent history.